Stalker: The Musical, a new Australian Musical, performs at the New York Fringe Festival between August 14th – 26th. AWNY was lucky enough to sit down with Director, Benita de Wit this week, see interview below. Starring Gigi’s Brian Ogilvie (Gigi, Mary Poppins), Stalker: The Musical is a satirical new show and the the only Australian entry accepted into the festival, which features over 150 shows. 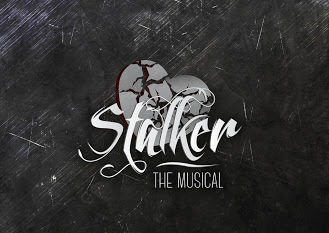 Set in a dystopian world where love has been eradicated and lust is celebrated, Stalker: the Musical is a dark comedy that follows the story of Jay Cloudstreet, who finds himself unusually and illegally drawn to one particular girl. Written by David Russell and Alex Giles and directed by NYC based, Australian born director Benita de Wit, it features up and coming talent from Australia; Blake Erickson, Michele Lansdown, David Bleier, Melody Beck and Christopher Hamilton. The Australian actors are joined by NYC based performers Brian Ogilvie, Adam Rennie (Flashdance the Musical national tour), Sarita Nash, Tara Martinez Moran, Monet Sabel, Olle Roberg and Terrance Johnson. Performances will be held at the Lynn Redgrave Theater @ Culture Project, located at 45 Bleecker Street New York, NY 10012. Ticket cost is $18 and can be purchased here. When and why did you move to NYC? I moved from Sydney two years ago to get my MFA in Directing from Columbia University studying under Anne Bogart. I’m in my final year and will be completing my thesis soon. It’s great to have the chance this year to continue learning but to also have the opportunity to take on outside projects and start adapting to life post-studies. What has been the biggest difference between living in NYC vs. living in Australia? Life goes at at a different pace in New York. There’s more to do and see, which also means more work opportunities. I’ve never worked harder in my life! There are also so many little things that are different, like language. I have had a lot of moments where actors have looked at me, baffled, and asked “What on earth is a singlet?”. What are the best things to do on a budget in NYC? I love walking the High Line or hitting up the parks. It is always good to escape the street and take in some nature. Especially in the Summer when there are film screenings and concerts. Washington Square Park is one of my favourite places to go. It’s usually packed full of different people – bubble blowers, improvisation classes and a woman displaying felt pigeons are not uncommon. What is Stalker: the Musical about? It’s an unusual little show about a world where stalking is the norm, where people are allowed to watch each other but love is forbidden. But more than that, it’s about people finding each other in a jaded world. About how no matter how squashed and controlled they are, human beings will still find ways to connect with each other. It’s about how legislating people’s choices is never the right way to lead. How did you get involved with Stalker: the Musical? Andy Peterson composed the incredible score for this show and brought me on board to direct. Andy and I have known each other for around a decade and first met through a production at the University of Sydney. We collaborated on a number of projects in Sydney and each moved to New York for different reasons. We’ve been waiting for another opportunity to work together and this show seemed like the perfect chance. I also knew one of the writers and some of the performers from Sydney so it’s been great to have familiar faces in the rehearsal room! What future projects do you have coming up? I’m currently assisting on a production of Gary Owen’s The Drowned World directed by Leon Ingulsrud and featuring several amazing performers from Sleep No More. I’m also collaborating with New Zealand composer Gemma Peacocke on a piece about Landays, a form of women’s folk poetry from Afghanistan that has been passed down, in secret, for generations. Thank you for an awesome article – we are so lucky to have such a talented director!